Devinci AC XT E-Bike 27.5"
Have more fun than you ever thought possible aboard the Devinci AC. As a spawn of Devinci’s award winning Spartan enduro bike, harness the ability to storm down any trail and then turn around and charge right back up it. No matter how long your ride is, the Devinci AC will leave you with a huge smile at the end of the day. 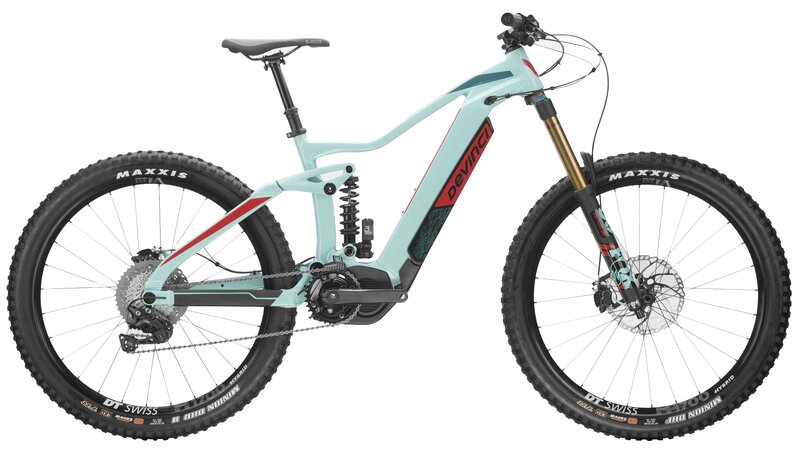 Centered around an Aluminum Optimun constructed frame with modern enduro geometry, the Devinici AC inspires confidence on the roughest and steepest trails. The 11-speed Shimano XT drivetrain paired with the Shimano Steps E8000 drive unit allows you to harness your inner mountain goat no matter how steep the climb and Fox’s unparalleled suspension allows you to glide over the biggest rocks on your descent. The Shimano drive unit accompanied by a Shimano Steps E8020 Lithium-Ion battery will assist you up to 20 mph. Pair the e-drivetrain with the frame’s slack head tube angle and low bottom bracket height, you achieve a bike that wants to climb and descend the steepest and rockiest terrain. When it comes time to stop, you can brake with confidence knowing you have the renowned Shimano XT 4-piston hydraulic brakes under your fingers. If you want to be unique, have unsurpassed confidence and have the best time ever on your bike, look no further than the Devinci AC. This machine will take you anywhere you want to go, faster than you ever imagined. The world of mountain biking is always expanding and the introduction of e-mountain bikes created a whole new horizon line.